Male is the 1st largest city by population of Maldives. 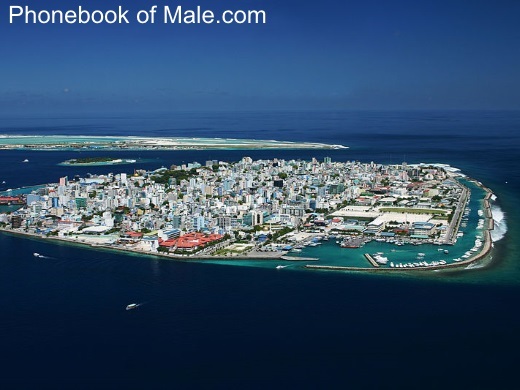 Male is the capital and most populous city in the Republic of Maldives. The whole island group, the Maldives, is named after its capital. The word "maldives" means "The islands (dives) of Malé'". in addition to folklore, point to a strong Dravidian influence on Maldivian society, centered in Malé, from ancient times. after the forced diaspora of its inhabitants) claim to descend from the first settlers of the Maldives, none other than the ancient Tamils. The city is geographically located at the southern edge of North Malé Atoll (Kaafu Atoll). Administratively, it is a city-class constituency and is governed by the Malé City Council. et des Pages Blanches Male.